Where i can get the old version. i just update my manager to the new one and now it totally dont sync. i thought it will take time so i waited for 30 mins. and i did it 3 times. i need it .. hope somebody can help me. Iwirauce wrote: Where i can get the old version. i just update my manager to the new one and now it totally dont sync. i thought it will take time so i waited for 30 mins. and i did it 3 times. i need it .. hope somebody can help me. Mhh, do you have other nord software open? I am having this for ages. but before it is working with the previous version of the manager. I just didnt keep that installer. Hope that they will fix this current version to work as the same as the previous. In my nord wave LCD says NORD WAVE Talking to host. and it stuck there. when i unplug the USB my nord wave is back to normal program. Last edited by Iwirauce on 26 Apr 2018, 15:02, edited 2 times in total. Do you have the latest OS loaded on the Nord Wave? Last edited by maxpiano on 26 Apr 2018, 15:29, edited 1 time in total. 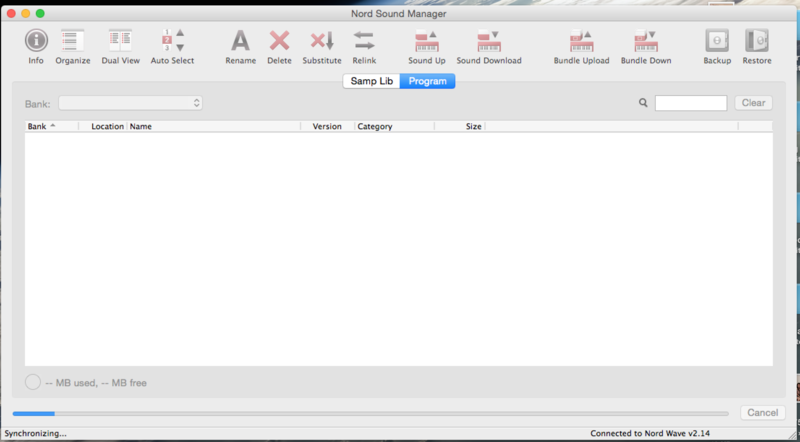 maxpiano wrote: Do you have the latest OS loaded on the Nord Wave? Last edited by Iwirauce on 16 May 2018, 14:24, edited 1 time in total. 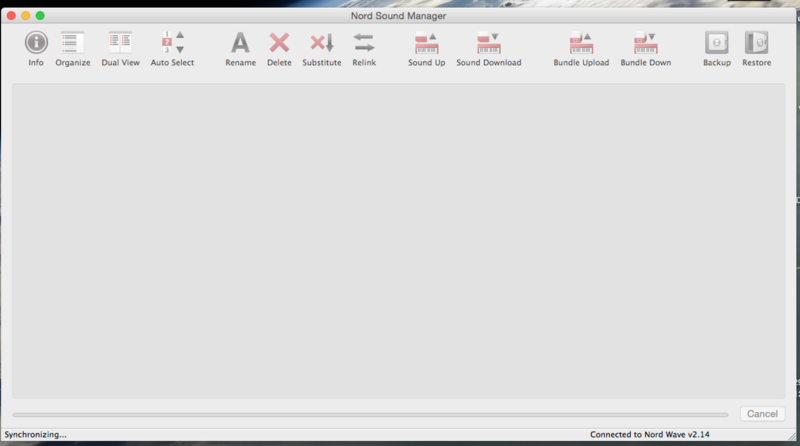 OK and NW is the only Nord connected to the Mac, correct? Have you tried different USB cables?